It's 9pm on Saturday night...all over the country, people are out in public, spending time with their friends, and their loved ones, propping up bars or crowding into restaurants, spilling out of cinemas and flocking along rain-slicked streets lit by sputtering neon. Couples stagger along streets, clutching at each other in their mirth as their laughter peppers the November air. Groups of friends swarm from bar to club. Not I. No, the bonhomie and warmth of human companionship is not for one such as I. I lurk in shadows, watching and listening, but mostly I withdraw to the dark, damp places where no one else might go. Yet this night is different. I smell it on the air, buried among the scents of sweating bodies and cheap fast food. There is a human, yet she is not the same as the others. She stands alone, bemused by those around her, and unable to behave in a similar fashion. She realises she is not alone, not truly, and she comes searching for me. I lead her on a merry dance, for it is not right that one of the light should come to explore the dark. We are both alone, but we are not the same. She is persistent, and soon my curiosity outweighs my desire to protect this unusual human from the horrors in the shadows. I stand in the open, for the first time in a century, and lean against a bus shelter. I do not stand under the fluorescent street light - no, that is too much of an exposure. I choose a spot in the shadows. She sees my long limbs, and charcoal skin. The darkness hides my face but she holds my yellow gaze all the same. The scent on the air becomes one of fear, and she realises that she has chased a nightmare. This human, the closest to my kind that I have yet encountered, stands rooted to the spot, and I realise it is time to release her from my thrall. I open a slot between space and time and slip away into a world that she should not see. Not while she is awake, at any rate. Yet even as I take myself deeper, away from the throbbing life of this Saturday night, I know I will see her again. Now that she has seen the dark, she will no longer be satisfied by the light. I first came across Vera Nazarian's Cobweb Bride through a recommendation by Nerine Dorman, and I'm very glad I decided to follow this recommendation up. 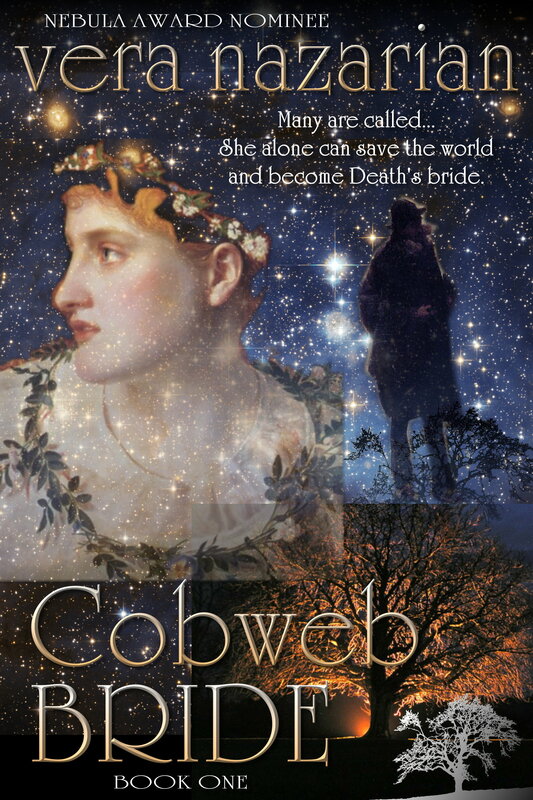 Book one in a trilogy, Cobweb Bride tells the story of an imaginary kingdom called Lethe, located somewhere in an alternate Renaissance Europe. Death appears, proclaiming he will take no more lives until his Cobweb Bride is found, and all marriageable women are sent to search for his Keep in the forests of the North. One of these women is Percy (short for Persephone), a largely unremarkable and overlooked middle daughter, who is notable for her ability to see shadows of death. Percy starts the book as a lumpen, plodding sort of girl but really grows in confidence and wit as the book progresses. I found I really liked Percy by the end of it, and I love the fact that she's so easy to relate to - she's no Bella-esque Mary Sue character. The book follows other characters, such as the Infanta, a sixteen year old frail princess from the imperial court, a trio of aristocratic fops (who, in my head, talk like the actors on Made in Chelsea), and a knight whose father won't die after a bloody massacre goes wrong in Death's absence from duty. It's all highly inventive, including the fact that the populace risk starving to death since anything killed or harvested after Death goes on strike returns to a state of life, making it inedible. My only criticism regarding the characters are their names - some characters are introduced, and only used once, making it difficult to keep track of a cast with long names, some of whom aren't even essential to the plot. Other reviews have noted that it takes far too long for the action to begin, and I'd be inclined to agree. Much of the first third or so of the book could be revealed through dialogue later in the story, or cut altogether, and I really didn't need a lengthy description of the life and love of Persephone's grandmother before anything even happens. It feels in places as though Nazarian is feeling her way into the story, and with hindsight this could be condensed. 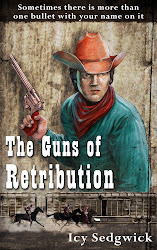 However, once the action gets started, it's very difficult to put the book down, and I found myself flying through it, eager to know what happened next. Luckily there's enough potential in the first third to have kept me reading because I thoroughly enjoyed the remaining two thirds! 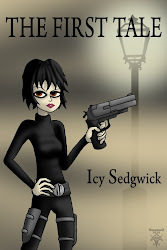 You can get Cobweb Bride for Kindle from Amazon US, or Amazon UK, as well as on Smashwords. Paperbacks are also available.